The objective of this project is to build a comprehensive geological model for the mixed carbonate–siliciclastic Fairfield Group, northwestern Lennard Shelf, to improve understanding of its depositional and diagenetic history and its role in controlling petroleum prospectivity along this part of the shelf. It is anticipated that the result of this study will establish important controls (stratigraphic and structural) on evolution of the latest Devonian-earliest Carboniferous depositional system and relationship to underlying Late Devonian carbonate systems. The developed geological model in this study will be utilised for reservoir characterisation and assessment of the major controls on porosity and permeability and petroleum prospectivity. The only major study of the Fairfield Group was undertaken by Druce and Radke (1979) which resulted in the definition of three formations in the Fairfield Group in the Canning Basin. 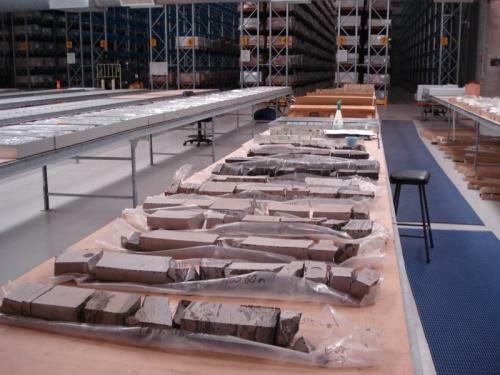 It is timely, given advances in sequence stratigraphy in 1980s and 1990s and current petroleum exploration in this area, to re-assess the depositional history of the Fairfield Group. Study of depositional environments and history within a sequence stratigraphic framework in this project will provide an improved geological model for the Fairfield Group that will summarise the 3D architecture of the latest Devonian to Early Carboniferous strata. Results from this project will also enhance knowledge of mixed carbonate–siliciclastic depositional systems, particularly those which evolved during overall climate cooling as recognised in the Early Carboniferous globally. Besides, the geological model can predict the extent and distribution of suitable reservoir facies in the currently oil-producing Fairfield Group.